A train service on the San Martin line. Photo: Profesor Favalli. UTE Green-Rottio has awarded Alstom a €5 million contract to provide signalling for the new 5km viaduct of the San Martin line in Buenos Aires. 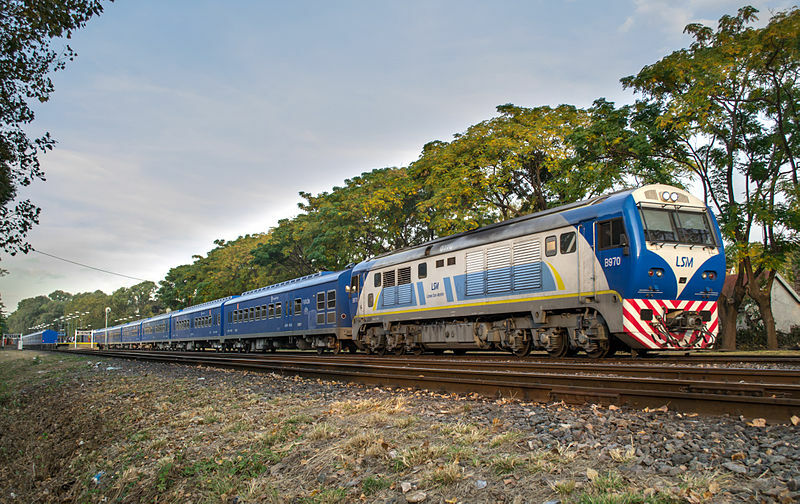 Alstom’s managing director for signalling in Latin America, Luciano Barbieri, said that the award represents a continuation of the company’s aim to invest more in Argentina to help modernise its transport system. The 22-station San Martín line is one of the seven suburban train lines of the Buenos Aires metropolitan area. It currently transports around 170,000 passengers per day along a 76km-long stretch between the Retiro and Dr. Cabred stations. As part of the deal, Alstom will provide its interlocking technology at a joint level with the traditional signalling system products: point machines, signals, local control post and track circuits.